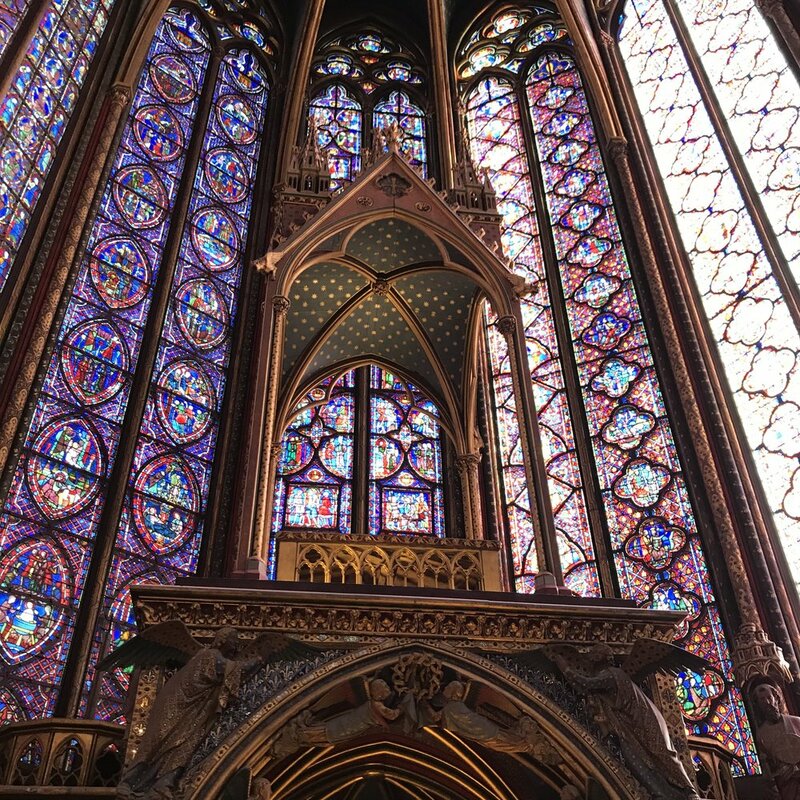 The Sainte-Chapelle royal chapel in Paris features over 1000 stained glass motifs of events that happen in the Bible. Like a giant comic book on the wall, each key Biblical moment shines on the wall, as bright as any modern flatscreen. 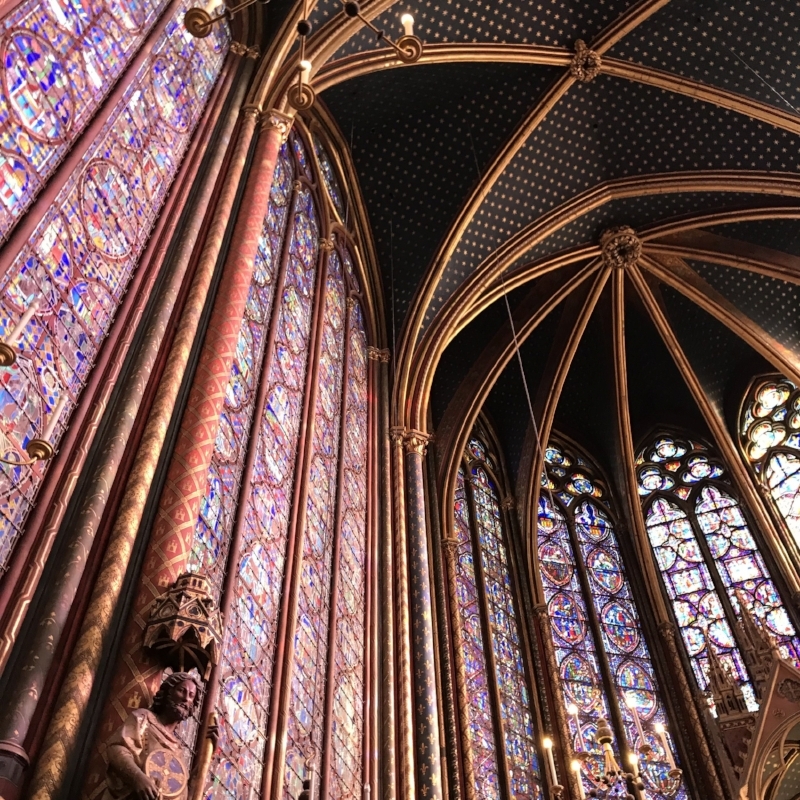 After a few days of visiting museums in Paris, the recurring themes of Christianity may get a little bit overwhelming or over-done, but the Sainte-Chapelle is worth it even if you think you've seen all the Jesus you can handle. In this chapel I really began to see how the story of the Bible was the most exciting, most interesting story of its time. 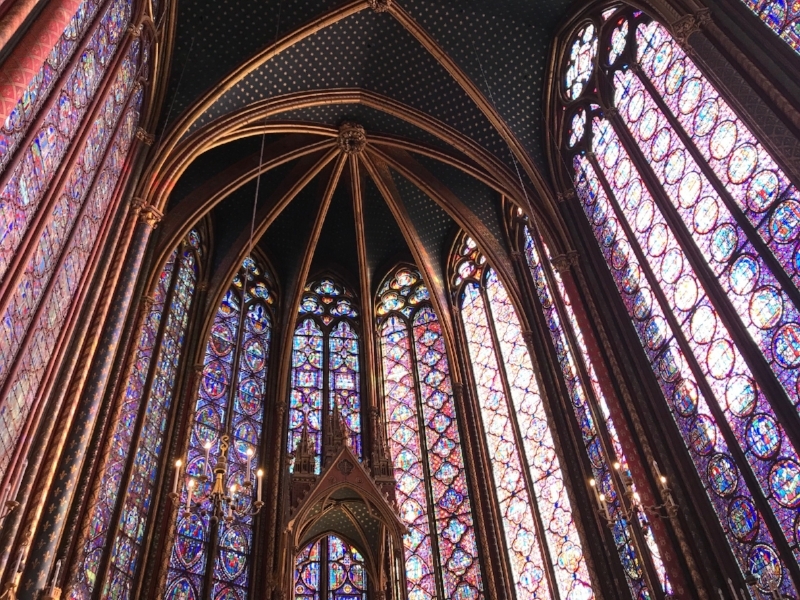 Most churches pick out key moments from the Bible to reference in statue form or in frescoes, but this chapel goes for all of it. A clsoeup of some of the anecdotal pods of the chapel. 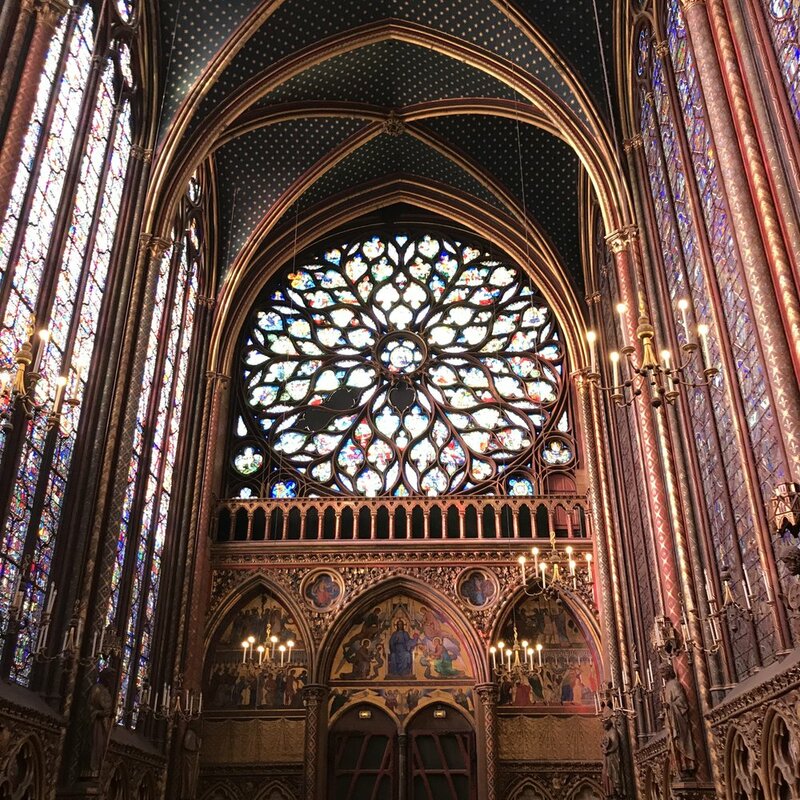 Like a Heironymous Bosch painting, the chapel is one of those pieces of art where you could spend years of study on learning the nuances of each circle.